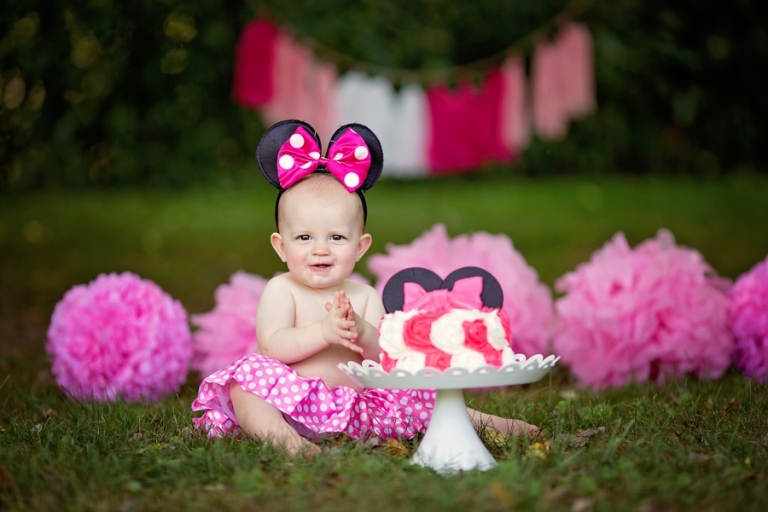 Oh my goodness, I can NOT believe Anna is one! It seems like just yesterday we did her newborn session! Just like at her newborn session, Anna did not disappoint (although this time she was walking instead of sleeping)! She is so easy going with the most adorable personality to boot. 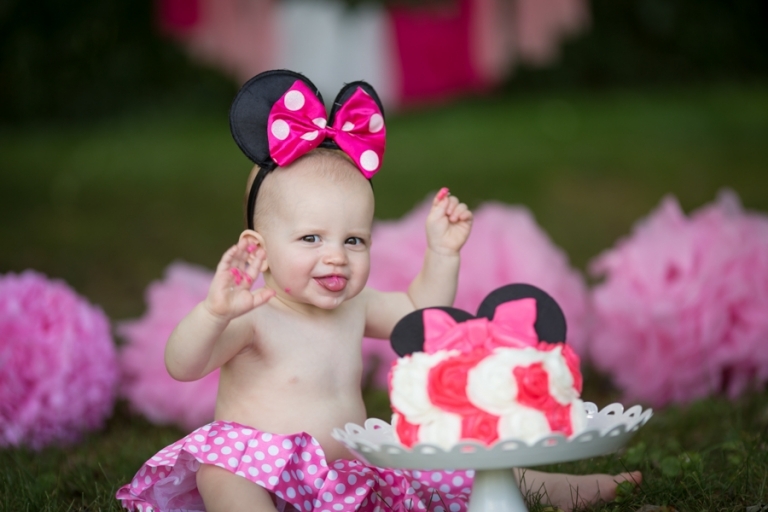 Anna’s birthday party was Minnie Mouse themed so of course, the cake smash needed to match. Many thanks to Sugar N Ink for the AMAZING cake! Laura never disappoints with her creativity. 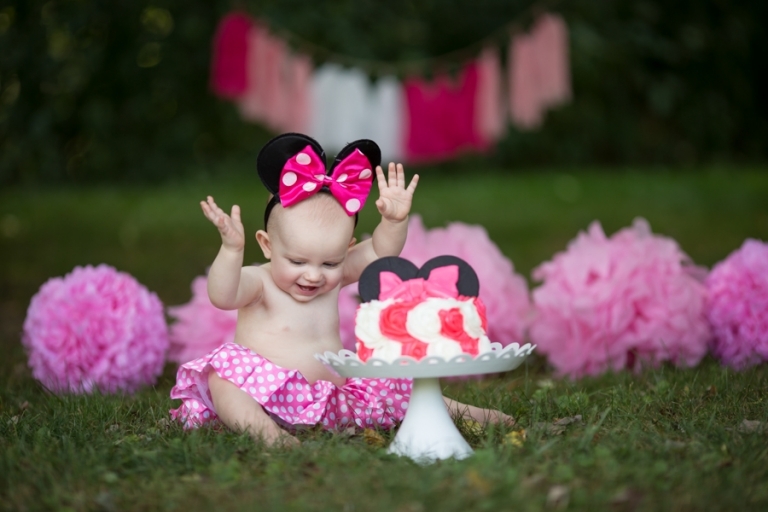 To see another recent cake smash photos, click here. 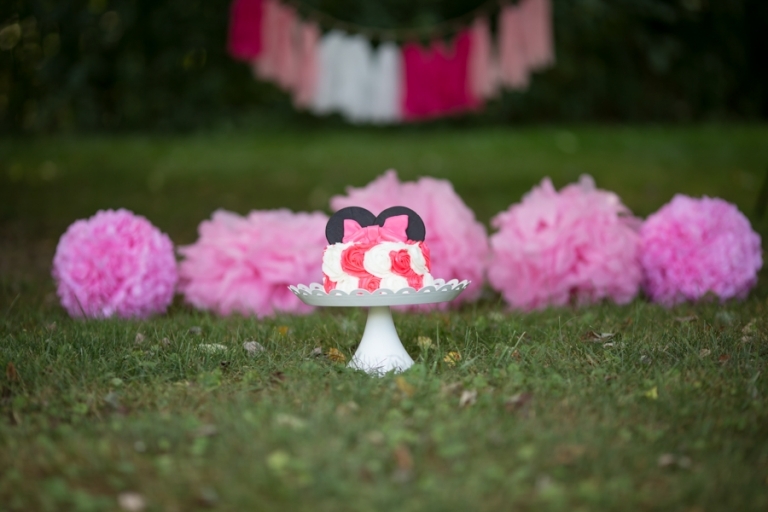 What is your pricing for a mini cake smash session?